The movement I would like to inspire would be an economic revolution centered on economic education. During my journey, I’ve found that the largest hurdle in overcoming poverty is simply what they know and what they don’t know in regards to basic financial literacy, family wealth strategies, asset creation and asset protection. If everyone had the same information, that alone would greatly contribute towards evening the playing field for the economically challenged or oppressed. I had the pleasure to interview Jay Morrison. Jay is an entrepreneur who was previously incarcerated but turned his life around through his passion for real estate and helping others. 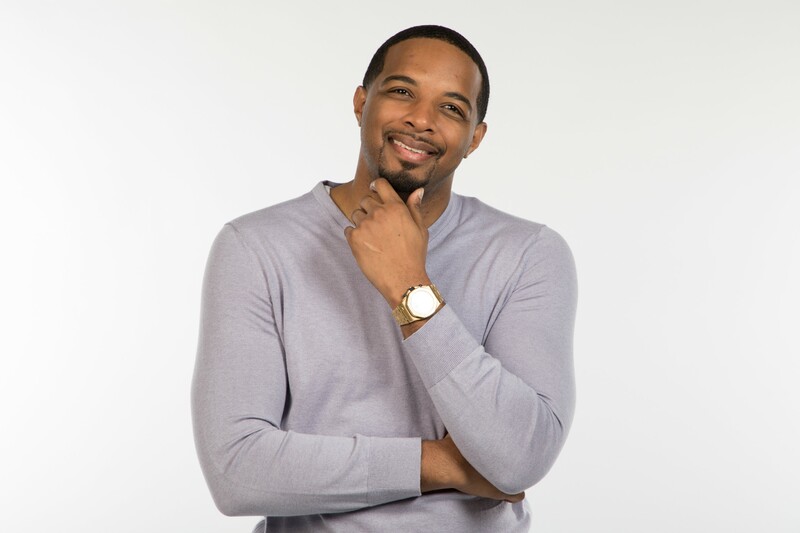 After gaining a reputation in the luxury real estate community, Jay founded the Jay Morrison Academy, aimed at educating individuals from urban areas on finance and wealth management. Jay travels to underprivileged neighborhoods and teaches Street Corner Classes — literally standing on the street corner to get his message across and share his advice. Most recently, Jay founded the Tulsa Real Estate Fund, a first-of-its-kind crowdfunding platform designed to revitalize urban communities, and the first African American-founded investment fund. On the heels of raising $10 million in just one week, the platform gives community members an opportunity to own equity in redevelopment projects. I come from humble beginnings, born to a teenage mom from Somerville, NJ in 1980. Growing up below the poverty line, I experienced a lot of obstacles in a household where drug abuse, domestic violence and emotional abuse were common. Because of this, I left home at 16 years old when I dropped out of high school and began to peddle drugs on the street to feed myself, while finding ways onto someone’s couch for the night. By the time I was 17 years old, I went back to high school, but to an alternative program where I would eventually graduate with a diploma. The only problem was that I had already gotten a “street education,” which led me to believe that “hustling drugs” was going to be my way out of poverty. Needless to say, I was wrong. Four months after I graduated high school I found myself incarcerated for drug and handgun possession. By the time I was 18 years old, I was housed on Riker’s Island, facing three years to life in prison. While on parole in 2002, I was introduced to the mortgage industry by a mentor who recommended that I apply for a job as a loan officer. At first, I was reluctant because of my past criminal history, lack of professional experience, and lack of corporate etiquette, but I took a chance and, to my surprise I was hired. With the support of family, had early success in the industry; however, I digressed for a few years, backsliding to my old ways. However, in 2005 I pulled myself out again, and made a full transition into real estate investment and development. I purchased my first multi-family home, became both a licensed loan officer and realtor, and began the journey of legitimate entrepreneurship. By the time I was 28, I managed two mortgage companies, owned a multi-million dollar real estate portfolio, and made my first million. Fast forward several years where I became the first African American male hired by Prominent Properties Sotheby’s International Realty and was featured on NBC’s “Open House NYC” as a celebrity realtor, and on “The Today Show” as a real estate expert. As I started to build my media platform, I began to teach financial literacy and wealth strategies at inner city high schools. Additionally, I put video content online urging those in urban communities who may be misguided to look my story as inspiration to make better life choices, become financially literate and to never fall victim to their circumstances. These videos began to go viral, amassing millions of views, and resulting in high demand for more lectures. Seeing a need for accessible, affordable, and relatable wealth education, in 2014 I founded the Jay Morrison Academy, which focuses on bringing financial literacy to low income communities. Within four years, more than 10,000 students were enrolled. Throughout my experiences as a developer, mortgage company manager, and real estate agent I have noticed three main things — one is that working class families are not typically afforded the same investment opportunities as wealthier families; two is that there is a void of private equity and funding opportunities for minority developers; and three is that most urban neighborhoods are gentrified because of numbers one and two. Working class folks in urban environments don’t have the capital or resources to control what goes on in their own neighborhoods, and neither do local community developers, so both are constantly at the mercy of larger development firms who have the capital but more often than not do not have the best interest of the local community in mind. With these issues in mind, in 2016 I founded the first ever African American owned Reg A tier 2 real estate crowdfund in history, the Tulsa Real Estate Fund. The fund allows the working class person or family to invest in a portfolio of real estate assets for as little as $500. TREF has already started working with minority developers and community partners to be a resource for socially and historically impactful projects, while providing its shareholders an 8% preferred return and 50% of the profits. This opportunity has been so attractive to investors that TREF raised over $10 MM during the first week of its June 1st IPO. As founder and fund manager of the Tulsa Real Estate Fund, the most interesting story so far is probably from our June 1st IPO. In anticipation of our big launch day, our entire team was working on all cylinders to ensure we had the most successful launch possible. We warned our IT partners of the amount of traffic we anticipated, but I don’t think they took us too seriously. So here we are, two hours before our 12 a.m. June 1st launch, and our team felt it would be best to do a soft launch privately to avoid too much traffic pounding our servers at midnight. Well, we launched and within the first two hours, our site crashed. This continued multiple times throughout the next 24 hours, as our site crashed again and again — even with back-up servers, increased capacity, etc. So from one standpoint I was beyond frustrated, especially for our investors who were so eager to become partners and be a part of history. On the other hand, I was smiling a bit inside, happy that we had created a historical company that over 30,000 website visitors thought important enough to even check out within one hour, and over 9,100 investors felt confident enough to invest in our first week — resulting in over $10.1 million of investment capital. So it was bittersweet and a rollercoaster of emotions. What makes every company under the Jay Morrison Enterprise stand out is that they all have socio-economic impact. We are truly social entrepreneurs in every sense of the term. The amount of feedback we get from people who made their first-ever family investment through the Tulsa Real Estate Fund is remarkable. Or those who simply bought their first home from following the steps we’ve provided in the Jay Morrison Academy or from learning at a free corner class. These are the stories and examples that make our company unique. We are impacting entire generations. Yes, we have several really exciting projects in the pipeline, but, due to confidentiality, we can’t discuss the specifics just yet. I believe as the leader of your organization, you have to set the tone for the culture you want. If you want hard workers, you yourself should show them what unmatched work ethic looks like; same for professionalism, appreciation and respect. Whatever traits you want to see, you must live and be the example. There’s a gentlemen by the name of John Wenzel who was the owner and CEO of a boutique mortgage company called Liberty State Finance. John was jokingly called “my white dad” because he literally took a 25-year-old off the streets, dusted him off, groomed him, was patient with him, and showed him the ropes of the real estate and mortgage industry. John believed in me, even though I brought no revenue into his company for the first several months. He believed in my potential, who he knew I could be and I would venture to say loved me unconditionally. I would not be where I am today without John. As I’ve alluded to earlier, I have tried and we have tried as a company to be very intentional about teaching underserved families “how to fish” and feed their families for a lifetime. We’ve done this by offering over 1,000 free lectures on our Mr. Jay Morrison YouTube channel and by consistently meeting people in their environments to educate them. For the third year, we are currently educating those throughout the country on our annual “Corner Class” tour. Additionally, we create businesses that provide them with an opportunity succeed, such as the Tulsa Real Estate Fund with its industry-low minimum investment. 1. I wish someone told me how much it really costs to fund a major organization and national brand. When I first started intentionally building the Jay Morrison Brand, I thought having reserves of just a few months of my salary and some marketing expenses would be sufficient. I have found that six-figures in monthly expenses is the bare minimum to have a well-oiled machine, and that’s even if you’re running lean. You must truly pay the cost to be the boss. 2. I wish someone would have told me that every business will provide a valuable lesson whether it succeeds or fails. Early on in my career, I got so down on myself if a real estate investment, business, or initiative wasn’t as successful as I’d hoped or envisioned. Now with maturity, I’m able to see that no one bats 1,000% and not everything will work out and that’s totally ok, just find the learning lessons and count the losses towards your “education.” You’ll live to see another day. 3. I wish someone would have told me to protect my vision at all costs! As a new entrepreneur, I always wanted to run to the top of the mountain and share my ideas with everyone. What I have found is that not all people will see your vision, or they’ll buy in early but rarely be able to sustain their commitment. Either way it shouldn’t matter, it’s your vision to protect, nurture and see through until the end. I experienced this with the Tulsa Real Estate Fund which took more than two and half years to come to fruition. 4. I wish someone would have told me to never stop momentum when it’s on your side. Back in 2012, I started a very successful high school financial literacy tour called “Hip 2 Homeowners,” which used music to educate inner city teenagers on credit, banking, and homeownership in a large assembly setting. After my first 12 engagements our popularity and demand grew exponentially. But instead of me “stepping on the gas” and accelerating the program, I decided to back off, regroup, and try to build out more infrastructure. This was a learning lesson because after my self-imposed break from the assembly circuit I could never get the rhythm and momentum back again for that program. I always wondered what would have happened if I never stopped. 5. I wish someone would have told me to cut my losses early and bet big on my winning hands. I did some research on Warren Buffet’s right-hand man Charlie Munger, though which I discovered their strategy of cutting losses early and not forcing decisions or lingering in paralysis based on emotions. I took away the point of focusing on your winners and putting energy and effort into maximizing winning opportunities. I applied this to the Jay Morrison Academy which launched a subsidiary business called “E-Z Funding” which provides uncollateralized, stated income credit lines for small businesses. At first it was just an ancillary service, but the demand for it exploded and it quickly became our most popular service. Instead of continuing to let it happen accidentally, I quickly called a marketing and product development meeting to direct the team to focus our efforts on bettering the service, its marketing and our customers’ experience. This quote is relevant to my life because it speaks to self-determination and will power, which pushed me through the bigger challenges in my life. Some of the biggest names in business read this column. Is there a person in the world, or in the US with whom you would love to have a private breakfast or lunch with, and why? He or she might just see this. I would love to have a private breakfast or lunch with Bill and Melinda Gates because of how they genuinely and intentionally approach being global change agents. I read recently in their 10th annual letter that they have been exploring the issue of poverty here in America and believe that education is the key to economic upward mobility. I too share this ideology and am living proof that it is true. Although I never received a college education, I was educated in financial literacy which I believe is the number one type of education that economically disenfranchised students and families should have. What better way to assist someone up the economic latter than to teach them about money, financial responsibility and how “climbing the ladder” works. I would love to be a resource to them as they continue to make legendary philanthropic impact, especially among low income families and people of color in America and abroad. I also would love to learn more from them about creating historical social impact, their world views, business philosophies and legacy building.